Buy Windii a Coffee. ko-fi.com/windii - Ko-fi ❤️ Where creators get paid by fans, with a 'Buy Me a Coffee' button. The Sonic series is my life and I make videos about it. I love what I do and want to keep on pumping out awesome Sonic content for you to enjoy. I'm going to work on Sonic videos either way, so this is what your donations will go towards: - Possibly being able to obtain more rare and obscure Sonic and non-Sonic content to preserve and translate, be it books, CDs, or otherwise. A lot of this stuff is not cheap and a good chunk of the funding for it so far has come entirely from my pocket. - Obtaining more large hard drives to hold my many terabytes of high quality Sonic footage for high quality vids. I currently only own a single 1TB external hard drive, which could stop working one of these days. 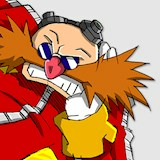 - My very own Eggmanland. - Food and rent. - Whatever my current fundraiser is aiming for. In addition, you can comment on how many times the characters said "nani" in my videos and I won't be annoyed, and it will raise your happy charitable spirit. Thanks in advance! Secured Payments. Support goes to Windii's account. Upgrade Windii to a yearly Gold Membership with a one-time payment.